Over 400 defense forces and volunteer personnel from Estonia and Latvia took part in the Lõunatorm (South Storm) command post, computer simulated, cross-border exercise held in southern Estonia and northern Latvia, earlier this week. 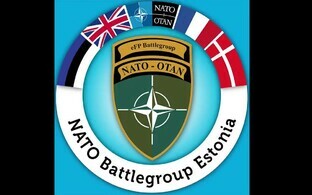 The main aim of the exercise was to train the staffs of units from Estonia's 2nd Infantry Brigade, and intensify cross-border cooperation with the 2nd Brigade of the Zemessardze Latvian national guard, spokespersons at the Estonian Defence Forces (EDF) headquarters in Tallinn said. 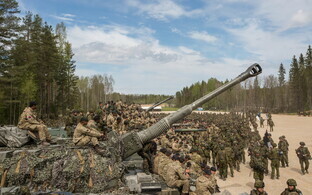 "The 2nd Infantry Brigade is a systemically developing unit, and it is important for us to rehearse cooperation between branches of the armed forces, acting together with the Latvian Zemessardze," said 2nd Infantry Brigade staff chief, Lt Col Tarmo Luhaäär. Lt Col Luhaäär added that tactical challenges created for the personnel particpiating from both the EDF and the defence league (Kaitseliit) volunteers, were met. Lõunatorm is a computer-based command post exercise, held for the second time, and which takes place simultaneously at the imitation centre at the Estonian National Defence College in Tartu, and the 2nd Brigade Zemessardze HQ in Alūksne, Latvia. Combat activity is simulated on a dedicated system, by operators receiving their instructions via a tactical radio network. This allows a variety of combat situation simulations, and solutions to technical, tactical and logistical challenges, without the need to place thousands of troops in the field. Estonia and Latvia both joined NATO in 2004, and both have NATO Enhanced Forward Presence (eFP) battle groups stationed on their territories. The two countries have a shared history of military cooperation, not least at the Battle of Cēsis (1919), which saw Baltic German troops defeated by combined Estonian and Latvian froces.